1954 — Horse and Train. Glazed tempera on canvas. Regionalism style. 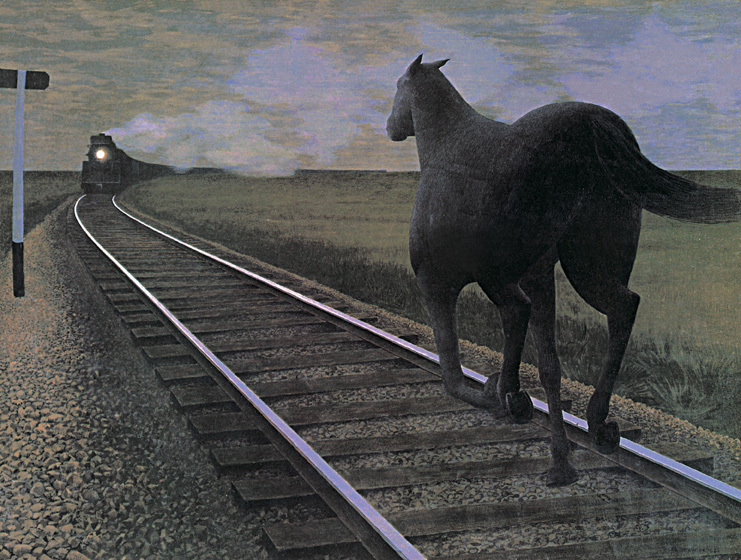 Alex Colville (1920-2013). Art Gallery of Hamilton, Hamilton, Ontario, Canada.